I buy most of my Hama bead pegboards individually from the craft shop in my village. They have a great selection, and they are reasonably priced. 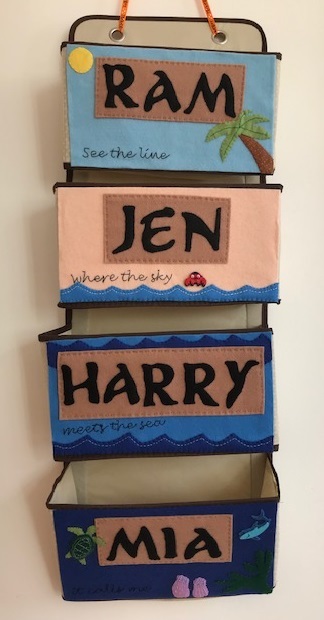 Most of the boards that they sell are also available in the larger Hama bead sets, but I like to buy the boards and large boxes of beads individually, and if I need inspiration there is plenty online. 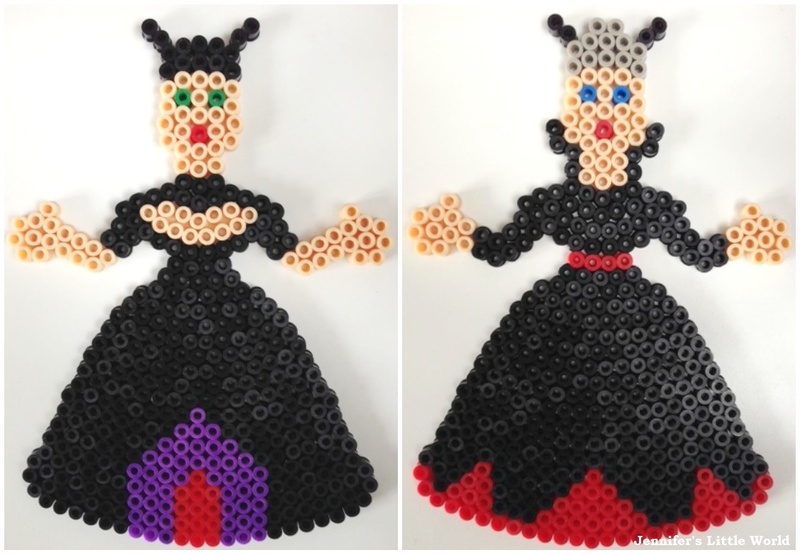 I bought this Hama bead princess pegboard with the intention of making some pretty princesses for Mia, but with Halloween approaching I thought that instead I'd have a go at using the board to make some witches! I also had to stock up on bags of black Hama beads, these boards do use them up quickly. I experimented with different lengths of dress, sleeves and skin colours. This is another great board that is really versatile, you can come up with lots of different designs. I can quite happily while away an evening or two trying out different things! We used these Hama bead witches to create a Hama bead witch Halloween display which can be illuminated with small battery powered candles and was really easy for the little ones to make. You could also line them up across the mantlepiece, or maybe display in the window for trick or treaters to admire! I've also thought about hanging them as a mobile or stringing them to make bunting. If you are making Autumn and Halloween decorations from Hama beads you might also like my Hama bead Halloween Haunted House or these Autumn themed Hama bead battery tea light holders. We've also made Halloween napkin holders from Hama beads and Halloween Hama bead coasters. Have a fun, crafty Halloween! Oh these are fabulous! Thank you, thank you - we have this very set, I can't wait to show Ruby! Have fun! And stock up on those black beads, I had to buy an extra two bags! How brilliant! I love your designs. I have never tried playing with Hama beads but I imagine it must be quite therapeutic? Oh I love doing Hama beads and yes it is therapeutic, especially if you are just covering a large area with beads all the same! I quite often sit down of an evening in front of the television with them all out in front of me and the iron next to me to iron things I go. I think it's a bit like cross stitch for me, which I really enjoy, but with quicker results! Oh wow how clever. I still haven't played with the ones I have. I shall know where to look for inspiration.